Karité is the brainchild of three sisters from Ghana, West Africa. For years, these siblings had been searching for a natural skin moisturizer that compared to the raw, unrefined shea butter they grew up using—to no avail. With diverse backgrounds that include dermatology, marketing, sales, law and economics, the siblings set out to recreate the traditional formulation that eluded them for so many years. As a result, Karité was born. Unlike other shea butter moisturizers that are often formulated with low concentrations of highly processed, refined shea butter (along with a slew of other skin-damaging chemicals and ingredients), Karité's natural, antioxidant-rich, dermatologist-created products feature high concentrations of raw, unrefined shea butter and palm oil sustainably sourced directly from Ghana. We blend these pure ingredients with unrefined organic coconut oil and other botanicals to create the perfect moisturizer that soothes and heals even the most sensitive skin. Formulated without harsh chemicals and solvents that can irritate skin, Karité products are hypoallergenic and free of synthetic dyes, silicones and parabens. Naana Boakye, M.D. is co-founder and Chief Executive Officer of Karité. As a dermatologist who specializes in the health and appearance of the skin, creating products with scientifically-backed ingredients that have the ability to nurture the skin and optimize its health is her passion. She received her BA at Wellesley College, her MPH from George Washington University and her MD from Temple University. She completed her dermatology residency at State University of New York Health Sciences Center in Brooklyn, New York, where she also served as Chief Resident. Dr. Boakye is affiliated with numerous professional societies including the American Academy of Dermatology, and she has been featured in Redbook magazine, O, The Oprah Magazine and more. Co-founder Abena Slowe is Karité's Chief Operating Officer. She focuses on the brand's operations and growth strategy, helping the brand identify and develop opportunities across the industry in key strategic areas. Abena has over 10 years of legal experience in both law firms and corporate settings. She has spent most of her career at a national law firm in New York City focusing primarily on all aspects of complex commercial litigation. Abena received her BA in Economics and Political Science from Columbia University and a JD from Benjamin N. Cardozo School of Law. She is also a member of the Bar in New York and New Jersey. Co-founder Akua Okunseinde is Karité's Chief Creative Officer. 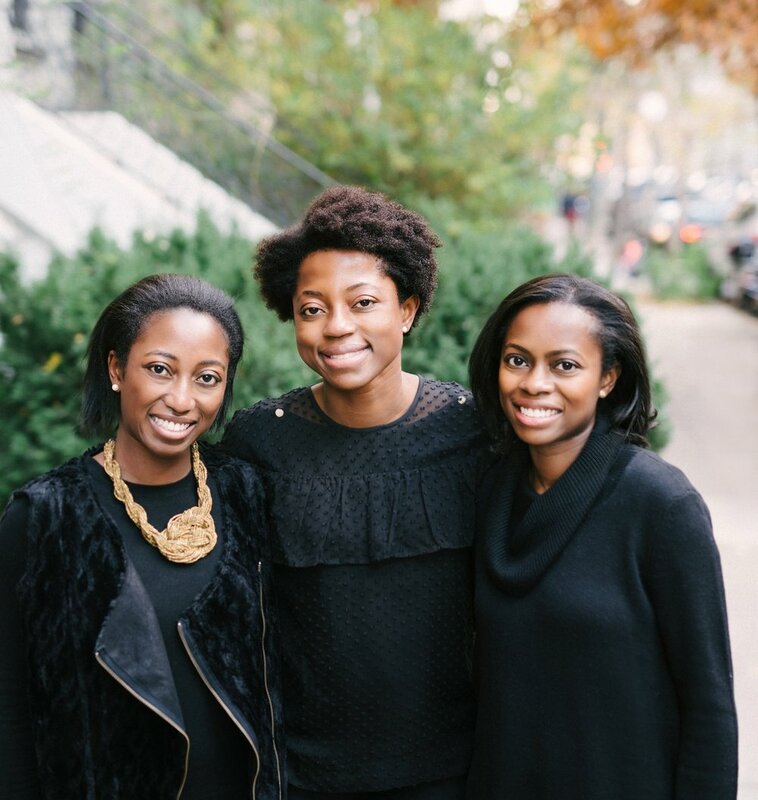 With 10 years of sales, marketing and strategy experience, Akua has worked with Fortune 500 brands in the luxury retail, beauty and travel industries, helping them drive customer acquisition and retention. Akua earned her MBA with a concentration in Marketing and Entrepreneurship from Columbia Business School, and her BA in Economics and Political Science from Tufts University.